A Border Patrol agent has been charged with assaulting a 14-year-old immigrant for having a cellphone in detention, the Los Angeles Times reports. Aldo Francisco Arteaga of Tucson was arrested Thursday on felony charges of assaulting a minor. 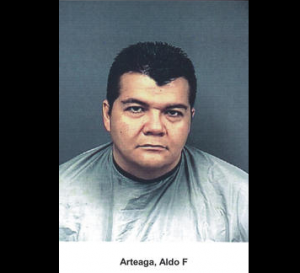 CBP officials said Arteaga surrendered Thursday after Jan. 3o video showed him assaulting the boy. “The officer … sees the juvenile with a phone, a prohibited item, takes the phone from the juvenile and proceeds to punch him in the stomach,” Silva told the Los Angeles Times. Arteaga couldn’t be reached for comment. Posted: 9/26/14 at 9:58 AM under News Story.